Originally introduced in 1993, the Offshore collection is a more masculine take on the iconic Royal Oak, combining a sporty, over-sized appearance with top quality performance. The watches remain faithful to their heritage, as they all feature the trademark Royal Oak octagonal bezel and “tapisserie” pattern on the dial. 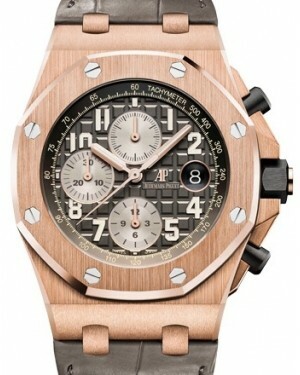 They draw from robust materials like carbon and ceramic as well as steel, gold and platinum. 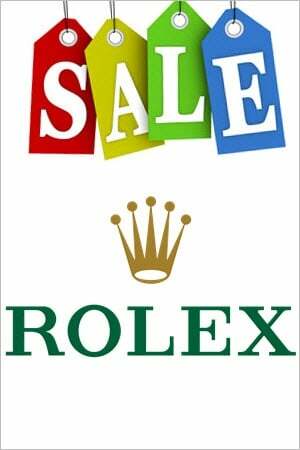 Many limited edition pieces that have become collectors items. 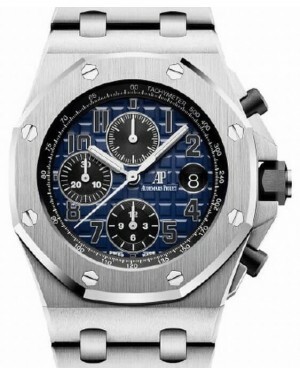 The AP Offshore is widely considered as the penultimate mens sports chronograph watch.Combining aesthetic beauty with rugged reliability, your Royal Oak Offshore watch is extremely durable and will retain value for years. 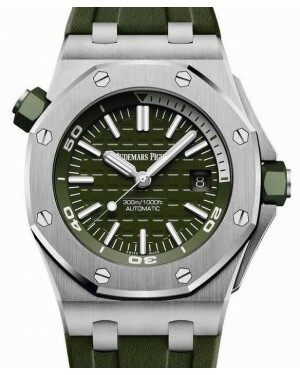 The Royal Oak Offshore was introduced by Audemars Piguet in 1993 and, like the main Royal Oak line, it represented something of a break from watch-making conventions of the time. The collection was originally released to mark the 20th anniversary of the release of the first Royal Oak model back in the 1970s. 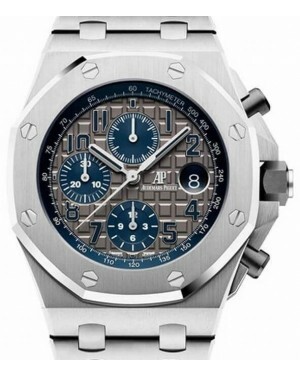 In terms of appearance, the AP Royal Oak Offshore, or ROO, has a more sporty aesthetic, a larger case and is aimed at a younger market than the main Royal Oak range. In this article, we take a more in-depth look at the Offshore collection and its evolution since its initial release. 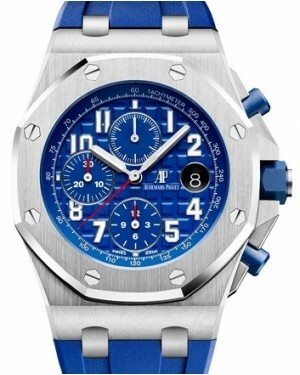 The first Royal Oak Offshore model, unveiled in 1993, was the Royal Oak Offshore Chronograph, which was designed by 22-year-old Emmanuel Gueit. The concept behind the watch was to create a more contemporary, sporty version, which was larger in size and showed off more of its inner workings. At the time, its 42mm case diameter was larger than most comparable timepieces from other luxury watch manufacturers, earning it the nickname 'The Beast'. 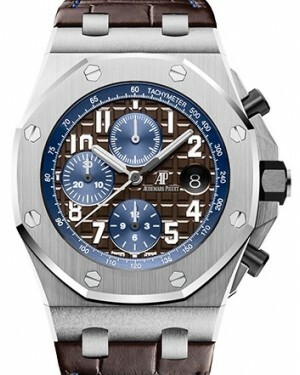 Much like with its predecessor, the Royal Oak, the first model in the collection was constructed from stainless steel and featured an octagonal bezel. 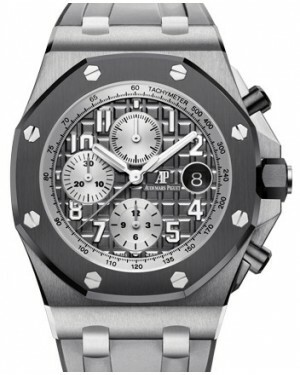 Other changes when compared to the original Royal Oak collection included rubber coverings, which protected the crown and push pieces, as well as a chronograph function not previously seen with the main line. 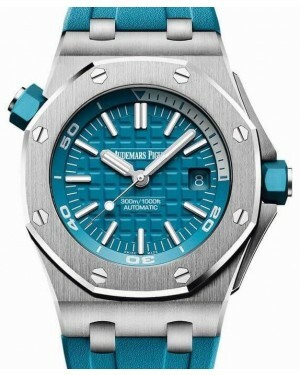 Since its inception, the Royal Oak Offshore collection has expanded to include a variety of functions and case materials. 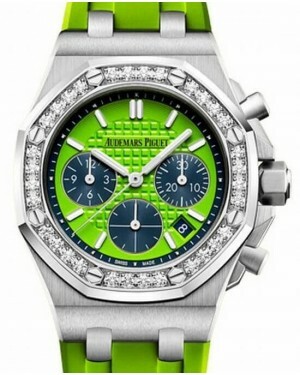 An example of this was the release of the limited edition Offshore Juan Pablo Montoya model in 2004. 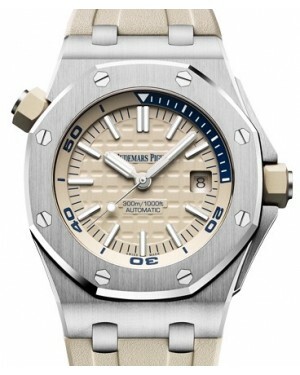 Available in a choice of either titanium or gold, it was also the first Offshore watch with a display case back. One of the biggest evolutions came about in 2013, when the Royal Oak Offshore Grande Complication and Offshore Perpetual Calendar Chronograph were introduced. 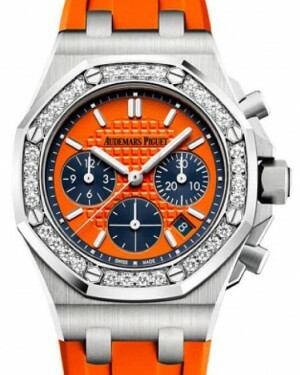 Both watches benefited from refined complications, which helped to challenge the preconception of the Offshore collection as an unsophisticated sports watch line. In addition to its more mainstream models, AP have also release several limited edition Offshore models for celebrity figures. 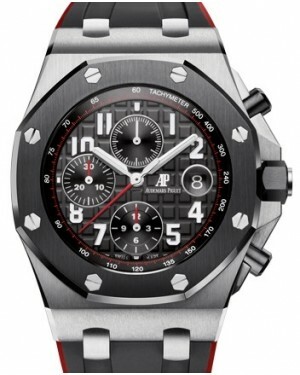 Hollywood actor Arnold Schwarzenegger is perhaps the best-known of these and his own personal timepiece can be seen in the films 'End of Days' and 'Terminator 3'. 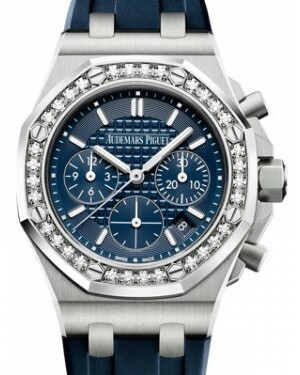 Formula One driver Michael Schumacher was also given a special limited edition Royal Oak Offshore, which was designed specifically for him. 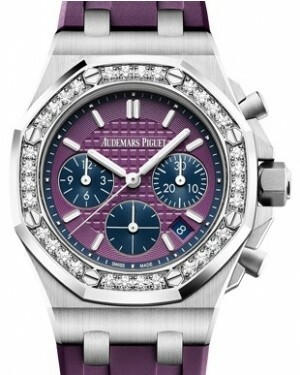 In 2014, Audemars Piguet gave its Royal Oak Offshore catalogue a major overhaul, replacing the previous range of models with six new versions of what is collectively called the Reference 26470. Although adhering to the basic style established by the collection back in 1993, the new models did also introduce some notable changes too. More specifically, these changes included the removal of the rubber protection on the push pieces and the introduction of sapphire case backs, which allow the wearer to get a better look at the inner-workings. 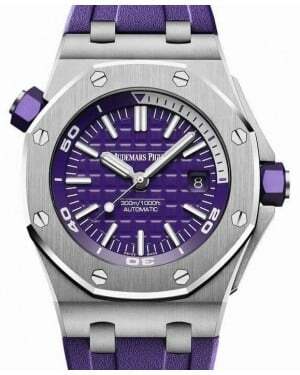 This particular generation of Royal Oak Offshore models is powered by the calibre 3126 movement. 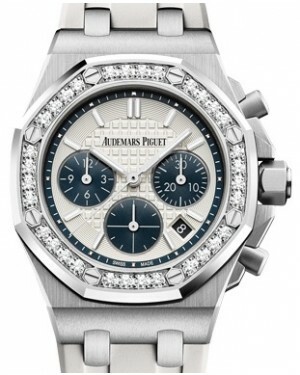 At present, there are six Reference 26470 models available. 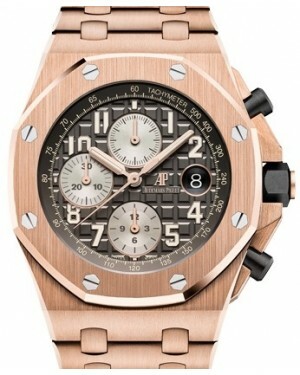 Four of these are made from steel, with the remaining two being constructed primarily from rose gold. One of the two gold models comes with a black leather alligator strap, while the other has a rose gold bracelet, which is more in-keeping with the original aesthetic.